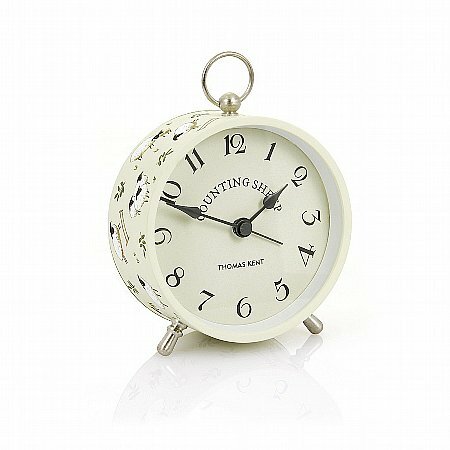 A very special little gift alarm clock with a silent movement and soft feel case decorated with a sheep design in pastel green. Alarm clock. Silent sweep movement. Soft touch finish. Metal feet and fob.